"I had no idea that Saskatchewan was home to a company that produces and ships ambulances all over the world." Saskatchewan has a reputation about the quality of work that comes out of its companies. During Saskatchewan Manufacturing Week, Crestline Coach takes pride in being a homegrown company with a history of innovation. Thanks to the Saskatchewanderer for touring Crestline. Crestline Coach was so pleased to be a part of the 2016 Drive for Kids Campaign, a true Saskatchewan collaboration. 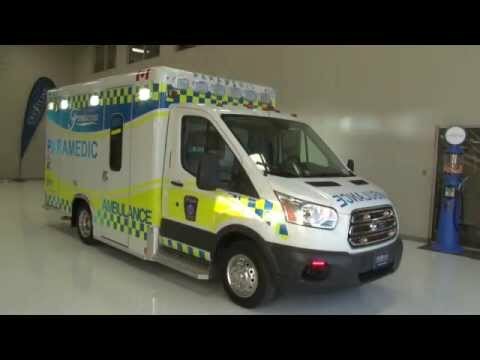 In partnership with Synergy 8, the Children's Hospital Foundation and many other sponsors, a custom designed state-of-the-art Pediatric Ambulance was built for the province of Saskatchewan. 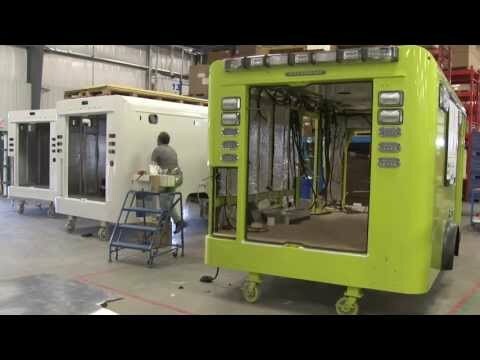 Steve Hoffrogge, CEO of Crestline Coach: It’s the people – their work ethic and skills – that make businesses in Saskatchewan unique. Crestline is the proud recipient of the STEP 2016 Exporter of the Year Award, sponsored by Export Development Canada (EDC). 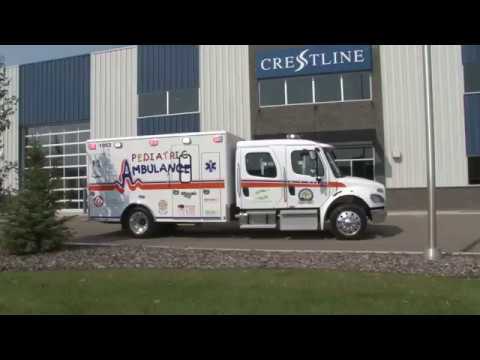 Crestline is a world class manufacturer of ambulances and specialty vehicles, with exports to 32 countries globally and buses distributed across Canada. 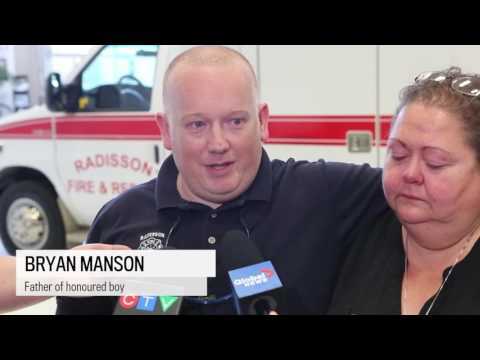 When a Crestline employees’ son was involved in a tragic accident in Radisson, SK last year, Crestline knew they had to do something. The Town of Radisson has a Fire department with Fire Fighters and First Responders but no ambulance. Crestline and M.D. Ambulance saw this as an opportunity to get involved and do something positive for the community. This initiative was kept quiet from the Manson family until last week when they were informed the donation was taking place and a plaque with the inscription “Vehicle donated by M.D. Ambulance and Crestline Coach in memory of Ethan Manson” would be mounted on the interior and the words decaled on the outside of the ambulance. 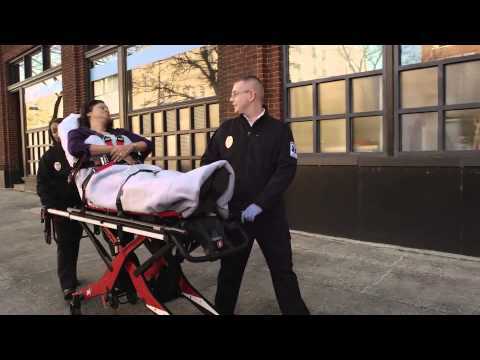 Special thank you to Ferno Canada for donating a stretcher. 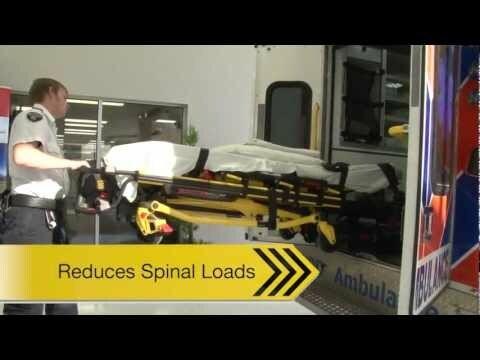 Stryker Power-LOAD Cot Fastener System demonstration with WPD Ambulance, 1st in Western Canada to purchase this innovative system.The Power-LOAD cot fastener system improves operator and patient safety by supporting the cot throughout the loading and unloading process. 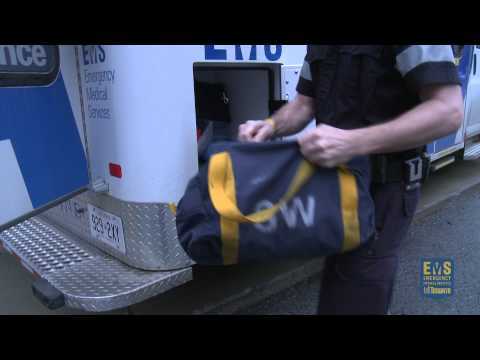 EMS week - More than a job - A Calling: Toronto EMS Paramedic Cate L. Cate takes us back to the moment when she realized her passion was to become a Paramedic. 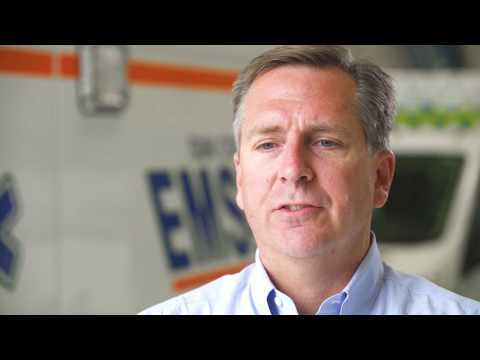 Helping people and giving back is what Cate loves to do, and she found her calling as a Paramedic. 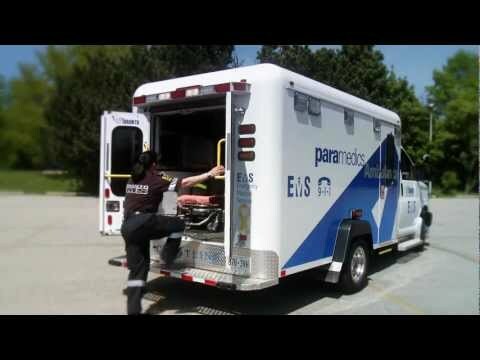 A tour through a Crestline Basic Life Support Ambulance by Toronto EMS. 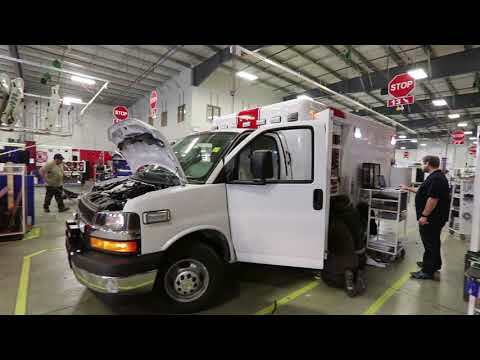 Saskatoon's new health bus will deliver medical treatment to the inner city. 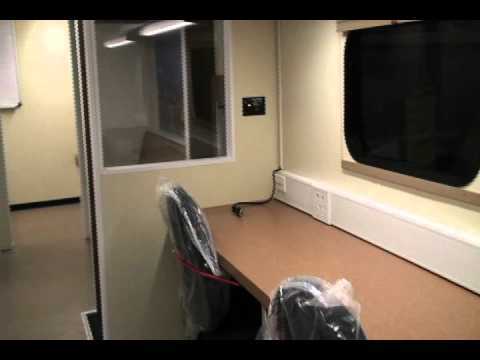 This video features exterior and interior footage as well as highlights from the press event. 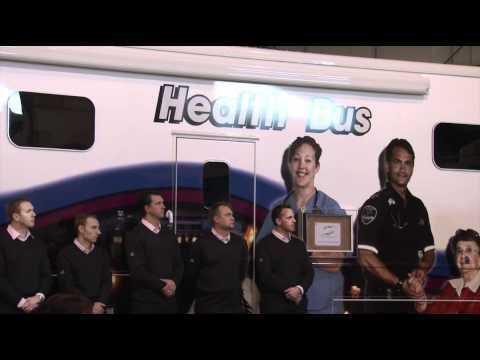 Saskatoon Health Region unveiled the new Health Bus today. The bus was made possible with fundraising and support from Synergy 8 Community Builders, PotashCorp, the Ministry of Health and Saskatoon Health Region. Macleans Feature "Where The Clinic Hits the Road"